It’s every shopper’s favourite time of year. But what should you buy for the travel lover in your life? It needs to be functional, portable and not too heavy. So rather than racking your brain, I’ve helped you with a list of unique gift ideas that every millennial traveller wants. From the simple to grand, from budget to lavish, you’re covered. 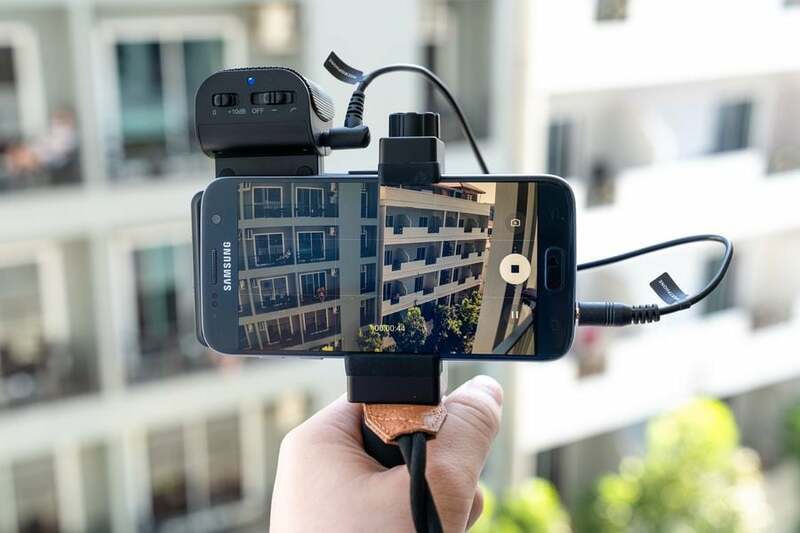 This all-in-one video rig for your smartphone is genius. 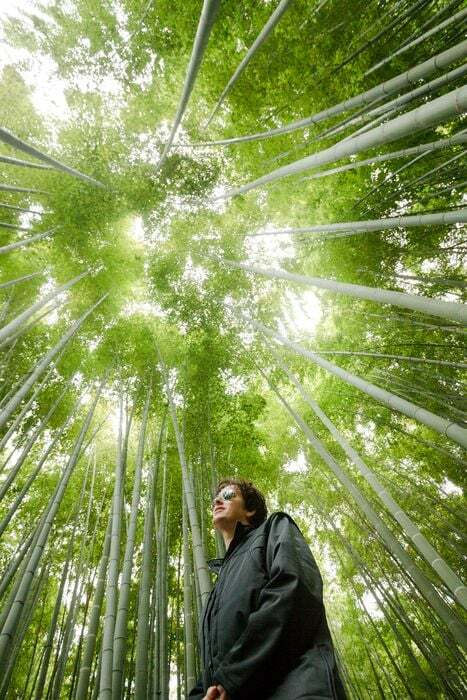 Turn average travel videos into professional quality productions by improving the lighting and sound quality. Just connect your smartphone in seconds. 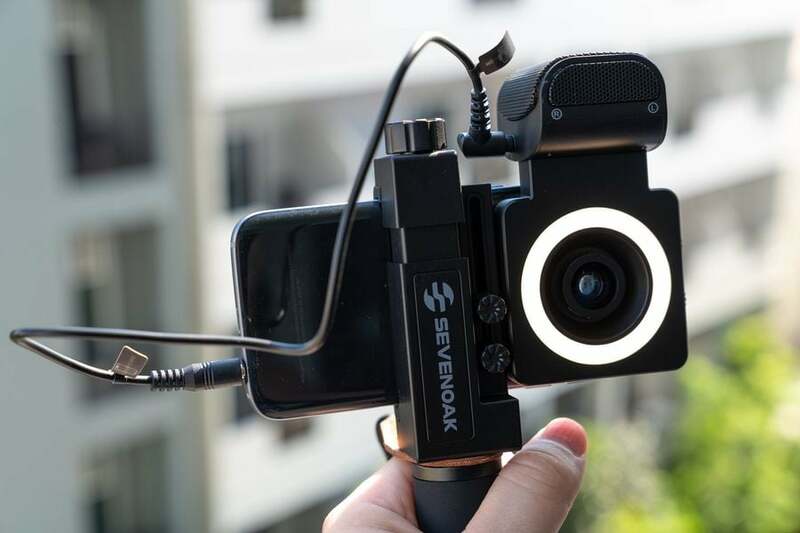 The kit includes a wide angle and fisheye lens to give you more creative videography options. The unit can be recharged via USB (no batteries), offering up to 4 hours of lighting and 20 hours of audio recording from 1 charge. The ringlight has 3 brightness levels, and the stereo condenser microphone a pad switch to boost recording volumes. 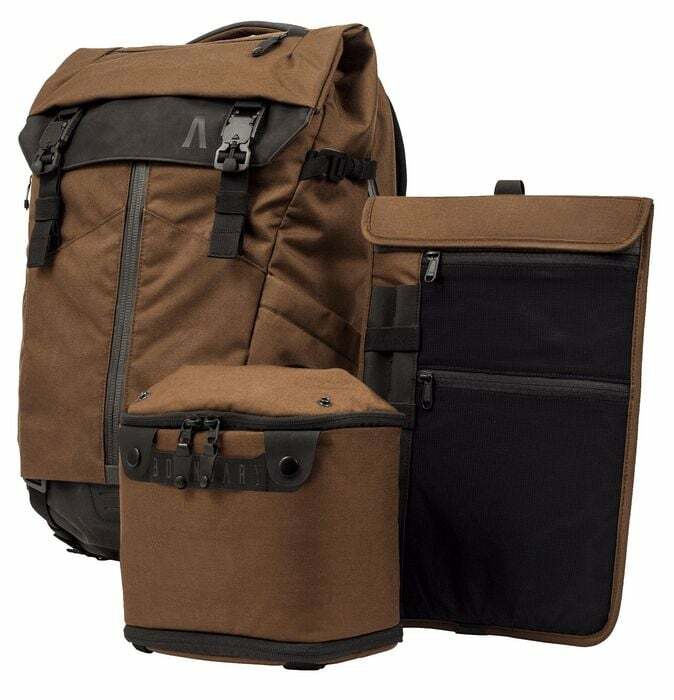 The whole kit comes in a padded travel-friendly carry case, ready for action wherever you go. A kickstarter campaign is currently running with shipments due in January 2019. If you feel Christmas is not about buying stuff, but about sharing experiences, then you’ll love IfOnly. Or if you can’t think of a gift for a loved one who has everything, you’re definitely going to find it here. IfOnly delivers unique things to do in cities across the US (including San Francisco, New York, Chicago, Boston, Los Angeles, and more) in categories like food, sports, music and local activities. Want to meet a pop star? Done. How about dine with an award-winning chef? Easy. Some experiences benefit worthwhile charities and causes (look for the ribbon symbol). So IfOnly makes dreams come true for more than just you and the recipient. Boundary, designers of this unique bag, are focused on using environmentally sustainable and socially responsible materials, which really resonate with me. It’s impossible to find one piece of luggage that suits every situation – so these guys created an entire system. A collection of compatible storage components that blend into 1 seamless experience. 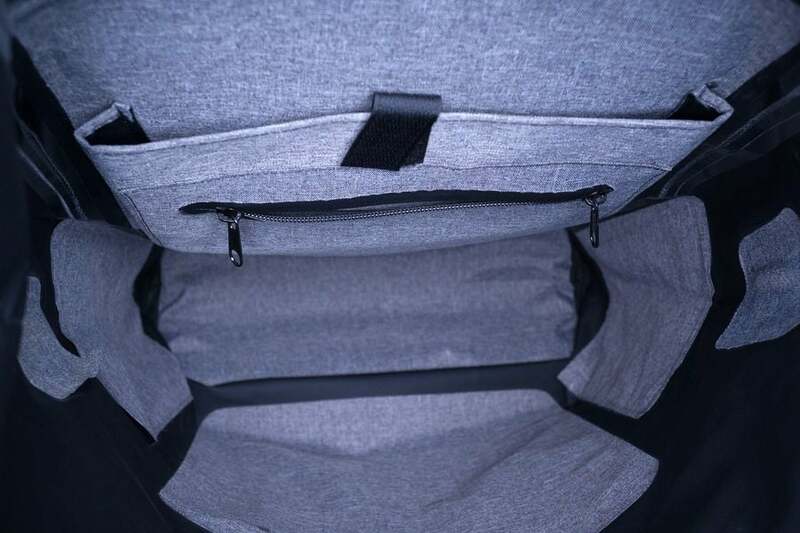 This means you can adjust the bag to suit the way you use it – photography, travel, commuting, outdoors, sports, etc. Very clever. Features like magnetic buckles, YKK Stormguard® zippers and padded sunglasses pocket give this backpack a premium feel without an excessive price tag. Unlimited Internet access in over 100 countries. Need I say more? Regular travellers will appreciate the convenience of buying a hotspot outright rather than renting. And Tep Wireless includes 3 free day-passes with the hotspot purchase (valued at $24). I use my Tep Wireless hotspot everyday while travelling, and wouldn’t leave home without it. Read my full review for more details. A very unique shoe concept – a lightweight waterproof sneaker made from yarn knit that keeps your toes dry but stays completely breathable at the same time. Comfy and ready for a full day of walking… even in puddles! Love it. And they’re even guilt-free as all materials are ethically sourced and no animals harmed during production. How can a t-shirt be an interesting Christmas gift? Wait until you try this one. Ultra-soft Merino wool has naturally anti-microbial and moisture-wicking qualities meaning you can go longer without washing this shirt. After all, who has time do a load of laundry while travelling? The polyester composite helps to wick away moisture and maintain a dry feel. While the washable wool fibre prevents scratchiness and pilling after washing. The result is a long-lasting shirt that is comfortable and low maintenance. Take the previous tee concept to the next level and you’ve got this button down long-sleeve shirt which also benefits from Merino wool qualities. It offers a comfy yet smarter look for those events that require a touch of class. I honestly didn’t think I would like this shirt as much but it was love at first try. Ironing is not required (I hate ironing) so it’s right at home in my suitcase. Arguably this the best travel jacket in the world. 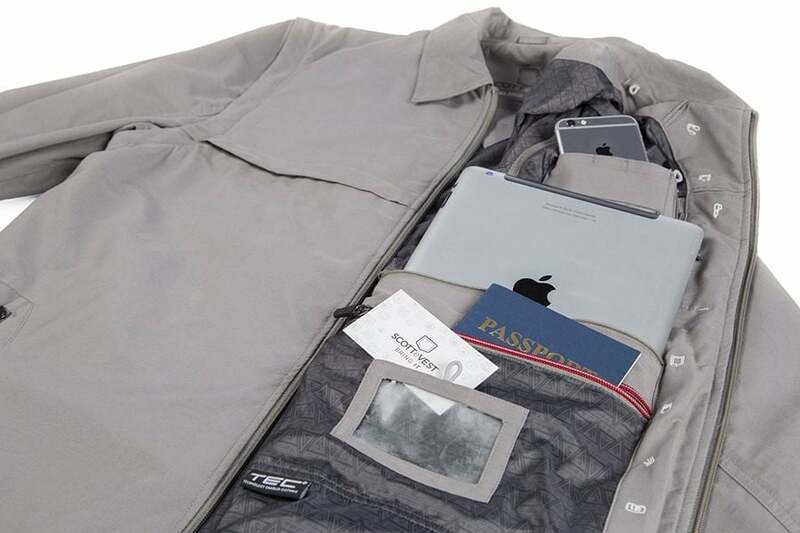 I used a SCOTTeVEST Jacket and can attest that I got through airport security faster than ever before – simply stuff all your items in the jacket pockets and slide it through the security scanner. Presto! No need to take out phones and wallets anymore. This jacket has more compartments than you can poke a stick at, plus zip-off sleeves, RFID protection, and most importantly, it looks great. There’s also a model for women available. 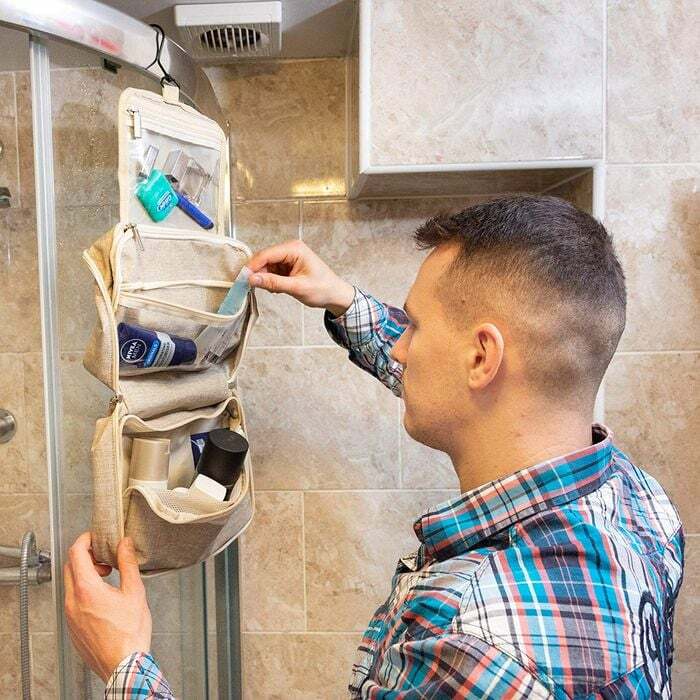 Crafted from water resistant polyester material, this versatile travel-friendly toiletry bag can be hung from anywhere – shower frames, doors, plane seats and even inside your car/camper. 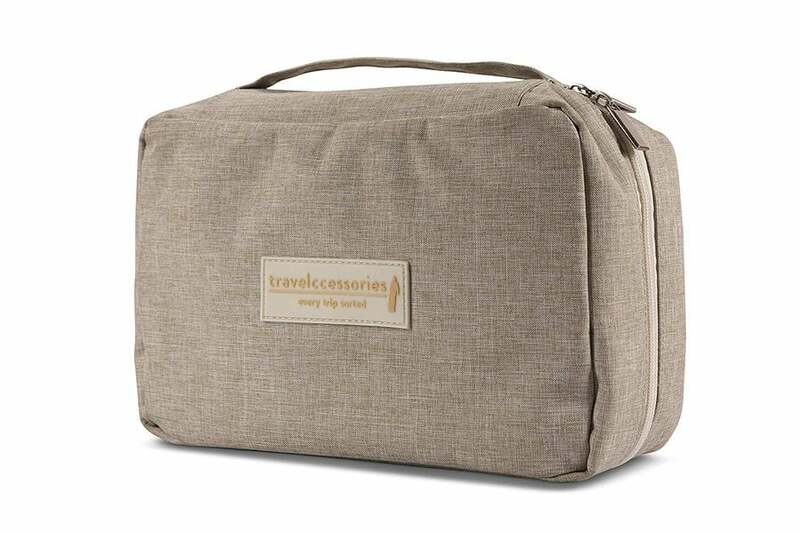 It’s compact (25 x 16 x 9 cm), durable, light (358 grams), and has various sized zippered compartments to fit all your essential toiletries when you hit the road. This heavy-duty 30-litre backpack is ready for the great outdoors. 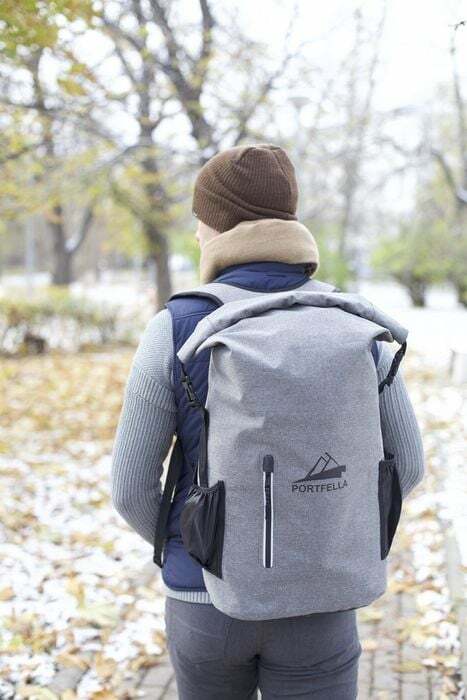 Made from 100% waterproof material, with a roll-top design, it can carry almost anything you need. A large pocket will securely fit a laptop while smaller zipped pockets will hold keys, chargers and other small items. The spacious main compartment can easily hold a camera, or just use it as an all-round stylish daypack wherever you go. I used this bag while travelling around Thailand recently. 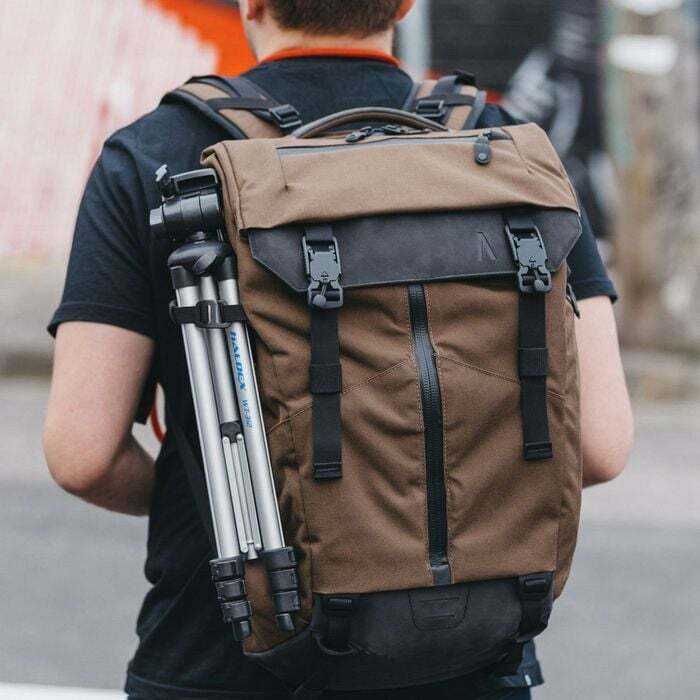 It’s built for travellers and photographers, with quick side camera access, padded removable dividers (optional), tripod pocket, and tablet & laptop sleeves. I like the sneaky secure passport pocket located on the back. The PRVKE is also durable and ready for action with a built-in rainfly, water-resistant tarpaulin material, and comfortable shoulder straps. If you care about your gear, I recommend investing in a quality bag like this. Do you have a pair of expensive sunglasses? A lost, cracked or scratched lens feels like you’re flushing big dollars down the drain. Last year I lost a lens from my favourite Revo glasses at Horseshoe Bend in Utah. Ugh! But never fear, Fuse Lenses comes to the rescue. Find replacement lenses for dozens of popular brands for a fraction of the cost. Even if your glasses are intact, you can find colours and tints that aren’t available from the OEM manufacturer’s giving your existing eyewear new life. They can also create custom lenses if your brand/model is not shown on their website, as well as prescription sunglass lenses. Banish mosquitos and other bugs on your next adventure with this travel-friendly spray made from natural ingredients. It’s only 2.58 oz in weight so it fits easily into hand bags, backpacks and due to the size, will pass through airport security without a problem. Utama Spice products are made by hand in Bali, Indonesia. Oh, and if you aren’t going anywhere tropical, try their peppermint lip balm. Travel is so much easier when you can hold a basic conversation in the native tongue. Since 1992 Rosetta Stone has helped millions all over the world learn new languages – from common languages like Spanish and Mandarin to less prominent ones like Swahili. The learning process feels natural and can be done in the comfort of your home with your computer or smartphone. This is the kind of Christmas gift that opens new doors and experiences, and can be delivered electronically to loved ones wherever they may be. Improve the quality of your mobile photography with these simple clip-on lenses – macro, wide angle, fisheye, and telephoto. These will open a whole new range of creative opportunities to capture the world around you. Pixter’s lenses are high quality and durable but don’t weigh you down. And they work on any kind of smartphone. The ideal stocking stuffer. Check out my review for more details. Dedicated macro photography lenses are expensive. But you can get a similar effect with this tube set. Extension tubes reduce the minimum focus distance of the lens and can be stacked for extreme close-ups – ideal for shooting insects, flowers, coins and jewellery. MOVO Photo also offer sets compatible with Canon, Nikon and Fujifilm cameras. I’ve recently started using this mic set for recording audio for new videos. If you’re travelling and want to create your own podcast, this is pretty much all you need. Or perhaps you want to take your travel videos to the next level with professional quality voiceovers. Considering the audio quality, this little mic is great value. And it takes next to no space in the suitcase! MOVO Photo have a bunch of other neat gadgets. Check them out on Twitter and Instagram as well. Imagine this beautiful canvas print hanging in your living room. But it’s not static… it changes every time you travel somewhere… it’s alive! Holy Cow Canvas offer 8 designs to choose from and you can customise the print with your own quote, legend and coloured pins. Construction quality is excellent and the ordering process is super simple. Every travel lover will want one of these. Check out my review for more details. You might have spotted this concept on Instagram recently. 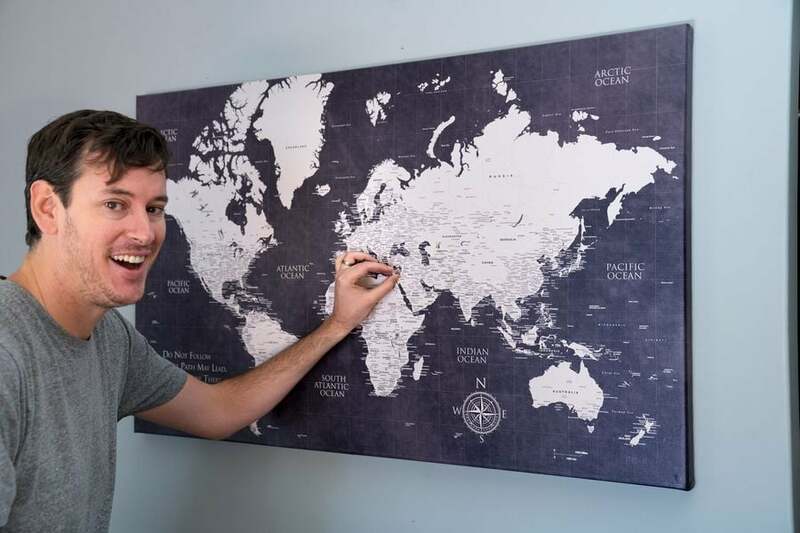 It’s a great way to keep track of your travels and remember those special moments, while impressing your friends and family when they visit your home. Scratching off the gold foil layer to reveal vivid colours underneath. This classically-styled map includes 210 flags and state-level outlines for the US, Canada and Australia. Pair it up with a magnetic hanger frame. Very nice blog thanks for sharing keep it up we supported you. All the time I found a new information from your blog.